A variant of the parallel tempering method is proposed in terms of a stochastic switching process for the coupled dynamics of replica configuration and temperature permutation. This formulation is shown to facilitate the analysis of the convergence properties of parallel tempering by large deviation theory, which indicates that the method should be operated in the infinite swapping limit to maximize sampling efficiency. The effective equation for the replica alone that arises in this infinite swapping limit simply involves replacing the original potential by a mixture potential. The analysis of the geometric properties of this potential offers a new perspective on the issues of how to choose of temperature ladder, and why many temperatures should typically be introduced to boost the sampling efficiency. It is also shown how to simulate the effective equation in this many temperature regime using multiscale integrators. 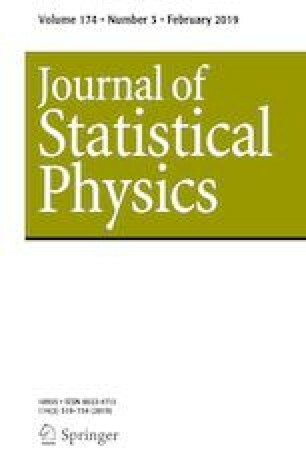 Finally, similar ideas are also used to discuss extensions of the infinite swapping limits to the technique of simulated tempering. We thank C. Abrams, B. Leimkuhler, and A. Martinsson for interesting discussions. The work of JL is supported in part by the National Science Foundation (NSF) under Grant DMS-1454939. The work of EVE is supported in part by the Materials Research Science and Engineering Center (MRSEC) program of the NSF under Award Number DMR-1420073 and by NSF under Award Number DMS-1522767.